The S&P BSE AllCap, which comprises the S&P BSE LargeCap, S&P BSE MidCap, and the S&P BSE SmallCap, is a comprehensive, rules-based index that seeks to measure the performance of the Indian stock market. It is designed to represent an index suite with a transparent, modular structure that has been fully float adjusted since its inception. Index constituents are weighted based on their float-adjusted market capitalization. Constituent Selection. Eligible companies must satisfy all of the following in order to be included in the index. Rank within the top 1200 by average daily total market capitalization. Have a turnover ratio greater than or equal to 5%. Have an IWF, as of the rebalance reference date, greater than or equal to 10%. Have a trading frequency greater than or equal to 80%. 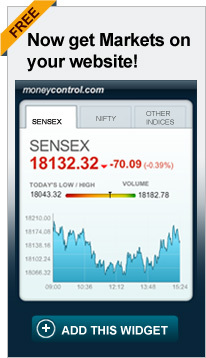 Have an average daily total market capitalization greater than or equal to INR 1.5 billion. Have an annualized traded value greater than or equal to INR 0.5billion. The index aims to have a minimum company count of 700 at each rebalancing. If a shortfall occurs, the threshold values outlined in steps 5 and 6 are reduced, first by 20%, then by 40%, then by 60% and finally by 80%, until a minimum of 700 companies are included in the index. If after the last threshold reduction above, the index still contains less than 700 companies, no further adjustments are made and the index will contain fewer than 700 companies. All eligible share classes of a qualifying company are included in the index.